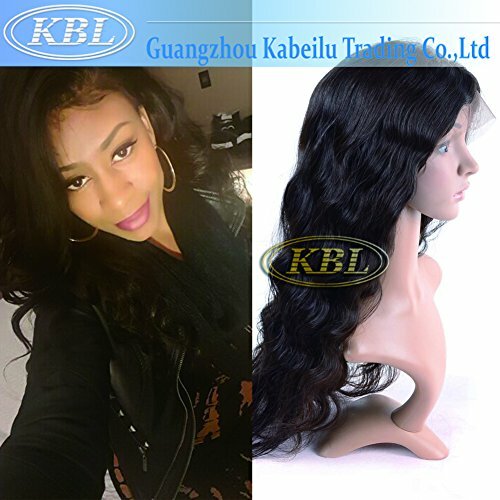 The KBL hair wig offers the most natural appearance at every angle. 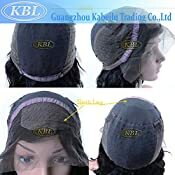 Breathable high quality cap with elastic band well fits different head types. You won't feel stuffy even in the hot summer. Medium cap size: 58cm - You can adjust the size according to your head. 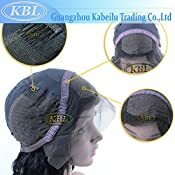 Lace wig type: Silk base front lace wig - looks like your own scalp. Lace color: Brown color - high quality Swiss lace net. Material: Brazilian virgin human hair with baby hair. Hair color: Natural black - any color can be dyed, even #613. Wig density: 180% - Density are higher than other products on the market, more thick, more natural. Hair texture: Loose wave, deep wave, straight etc. - any style can be customized. Hair length: 14-24inch - any inch can be customized. Size/weight: 14''/178-183g 16''/194-200g 18''/210-215g 20''/225-232g 22''/242-248g 24''258-263g. Advantages: The design of part is unlimited, whatever you like, you can make it as middle parting or side parting. It is no longer limit because of fringe. 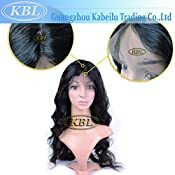 KBL®(Kabeilu) is American Registered Hair Brand, Only Sold By Good Good Hair on Amazon. 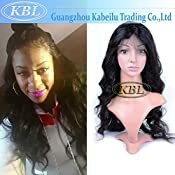 We Have NOT AUTHORIZED Any Other Sellers to Sell KBL Hair Products. Be Care for Fake One. Top quality Brazilian virgin human hair, soft, resilient, always keep in a good shape. Beautiful color #1B, holds nice curl, full and health ends, stay away from dry and split. Free part 180% density silk base front lace wig, any part style can be designed unlimitedly as you like. Cap designed according to the the specification of the head. Swiss lace is soft and flexibly, It is suitable for your head, more comfortable and no tangling.